I had fun with this short story with Gin and the gang at a Renaissance Festival. Of course Gin can’t go anywhere without getting into trouble. 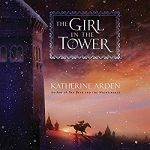 I think fans of the series will enjoy this story, although you don’t have to read it to continue the series. I’m not sure if people who haven’t read Elemental Assassins will enjoy it as much. I just think they might not understand the world and the magic that exists in it well enough. I do think people who don’t know Gin will enjoy the story, just not as much as fans of the series. I’m not at all familiar with this author or this story. It was an interesting story. It follows Brida Gazi a widow in a small town. She now tries to help out her brother and sister-in-law who have several kids. She also helps harvest seaweed. Then she comes across something she’s never seen before.There is also someone who is stalking her. This was a nice short story with some romance and suspense and a lot of paranormal. I would be interested in learning more about this world. This is a stand-alone story. I have read Amanda Bouchet before. I liked her stories. This is another nice short story. Prince Daric is desperate for rain for his lands. There have been nothing but droughts since he was born. His parents are selling off pieces of their assets to get water from bordering kingdoms that have water. He was begging his goddess, Braylian, for help from her cauldron. Then a humanoid figure shows herself. Daric’s father pulls her out of the cauldron and she becomes flesh and bone. She is named Rain, since everyone kept asking her to make it rain. This is a story of hardship, sacrifice and love. This story follows Harlan Konyngrr from Dasnaria. He was also the hero of third book of The Twelve Kingdoms, The Talon of the Hawk. He is now the unofficial consort to Queen Ursula. However, he hasn’t shared everything with her. He has a secret in his past. 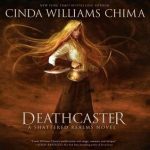 This story brings the fans of The Twelve Kingdoms series up to date with all that we’ve learned in The Chronicles of Dasnaria. Or, at least what Harlan knows from that series (there’s a lot he doesn’t know). 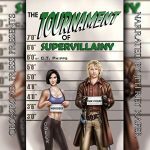 This is another story I think fans of the series will enjoy more than people who haven’t read the series. 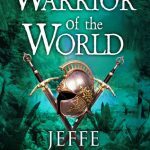 This world Jeffe Kennedy has created is pretty complex, and it is hard to get a full grasp of it in a novella length story. Not to mention, there is a lot of build up to this point. I had a great time with all four of these stories. I got to read from two series I love, a new story from an author I’ve enjoyed and a new-to-me author. 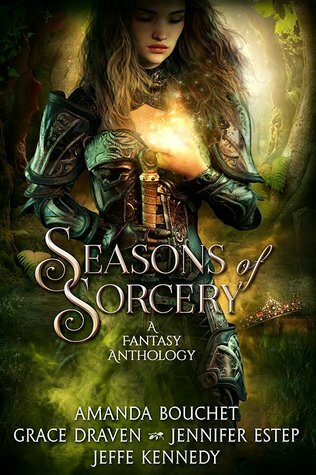 If you like fantasy stories, I recommend this anthology. 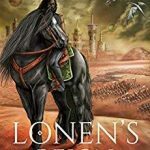 Jennifer writes the Crown of Shards epic fantasy series. She also writes the Elemental Assassin urban fantasy series and the Black Blade young adult urban fantasy series. Jennifer also the author of the Bigtime paranormal romance series and Mythos Academy young adult urban fantasy series. This one is already on my wish list. All are authors I enjoy. Glad it was a hit, Melanie! I think you’ll really enjoy these stories. I like collections. You get several stories and it’s a fun way to try some new authors. These sound good and that’s a beautiful cover. Anthologies are hit or miss for me. I’ve found some great new-to-me authors (as I did with Grace Draven in this book). But then there are also times I really dislike some of the stories. I enjoyed all the stories in this book. I pre-ordered this one but haven’t read it yet. I have too many priorities this week so I hope I either get things done or decide which priority is the top priority. I have read and enjoyed all these authors. This is my first read with Grace Draven. I did like her story and want to read more. I’ve read the others, so I pretty much knew what to expect. I was surprised by Amanda Bouchet’s, it was so much different from the series I read from her. I love the cover and wondered about this one. I have read some of these authors, maybe not the series they are tied too. I also want to try Draven. I love this cover too. This was my first read from Draven. I liked her. I will have to try more of her work. This looks like a great compilation! Wonderful and insightful review, Melanie. Thanks Jonetta. If you like fantasy, this is a great anthology. I hadn’t. I did enjoy her story. I’ll have to try more of her work. I’m not one for anthologies unless it involves a favorite author. Then I tend to just read that one. The one that interests me is the one by Grace Draven. You have me wondering what she found from the sea! I’ve found anthologies to be very hit or miss for me too. I have found some fun new-to-me authors with some that I’ve tried though. I think that I need to read a bit more from these authors before I pick this one up. It sounds great but it ties into several series that I haven’t read so I think I would get lost. Great review! With the Elemental Assassins and The Twelve Kingdom stories, yes, they’re better if you know the series. The other two you would be fine. Great review! 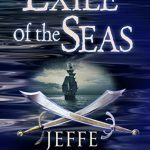 I have this one to read as soon as I read ARROWS (Jeffe) to be up to date! I’m all caught up on Kennedy’s stuff. I have even read a book that releases in January (I’m never this far ahead). I haven’t read the series and am not sure it’s the right fit for me but it sounds like a good book. Yeah, fantasy isn’t for everyone. This sounds like a fun anthology. I always like anthologies to read more by authors I know and discover some new to me ones. I read a few books in the Elemental Assassin series, but eventually took a break and didn’t get back at it yet. I am glad to hear you enjoyed this one, it sounds like all the stories were good ones. It can be so hard to get back into a series after a break. There are so many great books out there, it’s easy to get behind.